WHAT IS THE SHANE HAMMOND BELIEVE FOUNDATION? The Shane Hammond Believe Foundation is a non-profit company founded by Shane’s mom, Deb Marvuglio. 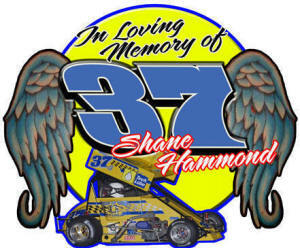 This foundation is to preserve Shane’s spirit for racing education & safety. When Shane passed, Deb began asking questions about the safety of cars, drivers, tracks and found out there was room for improvement in many, many ways. She also found out that most drivers would rather buy tires than invest in their own safety. The foundation raises money through merchandise sales, fund raisers and donations to help drivers with the expenses of safety equipment as funds permit. The foundation also provides a yearly driving school. The Shane Hammond Midget driving school teaches all aspects of driving a midget from suiting up, belting in and driving. The foundation relies on volunteers to help spread the word. Deb hustles and drives all over creation to help promote SHBF and solicits vendors to help. 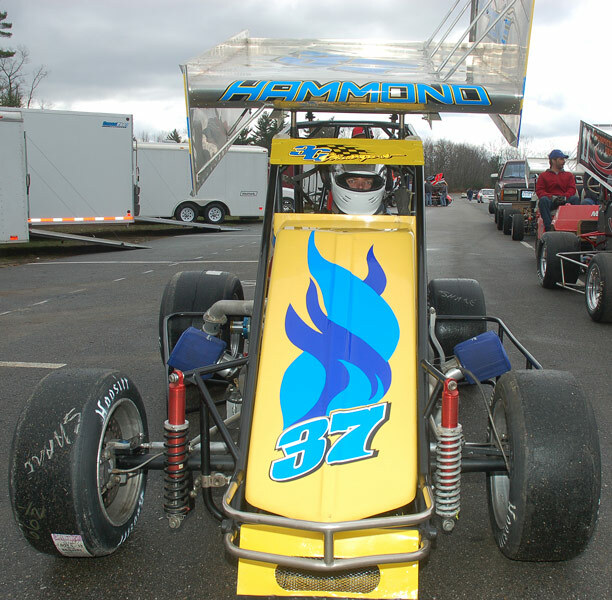 Shane Hammond lost his life on April 6, 2008 while racing at Thompson Speedway in Connecticut. He was 27 and an inspiration to all who knew him during his life. Those close to Shane know that he was a special competitor. Many that were not personally connected to Shane may not know that he survived brain & spine surgery at 15. At that time, he had already been racing karts on dirt & asphalt for 5 years. His love for racing kept him fighting for his life and helped him pull through. Shane was a shining star. He had a smile and a kindf word for everyone. He was a young man with an old soul. Shane touched many lives with his big heart, bright smile and winning personality. He loved his family & would go out on a limb for his friends. Shane was a great mentor to his brother Anthony Marvuglio. They worked over the winter on 2007/2008 to get a second NEMA car ready so they could compete against each other. They had raced karts together but were looking forward to that next competition. When we played games and Anthony was his partner, it was like they shared the same brain – they were that in tune. Anthony was by his side that horrific day, he pushed out his car and was the first on the scene to help his brother. If you did not know Shane, you can ask around in NEMA or the karting circuit and find out he was one special person. Not many of us will be able to meet our maker doing what we love but Shane was blessed. THE SHANE HAMMOND BELIEVE FOUNDATION CAN SAVE LIVES. YES, just ask two of our NEMA drivers who crashed in 2010. They both were introduced to the Hybrid and Hans device by the foundation. They will both tell you, they would not be here today in full capacity without them. Head & Neck restraints are now mandatory with NEMA. Think Safety First.